1. 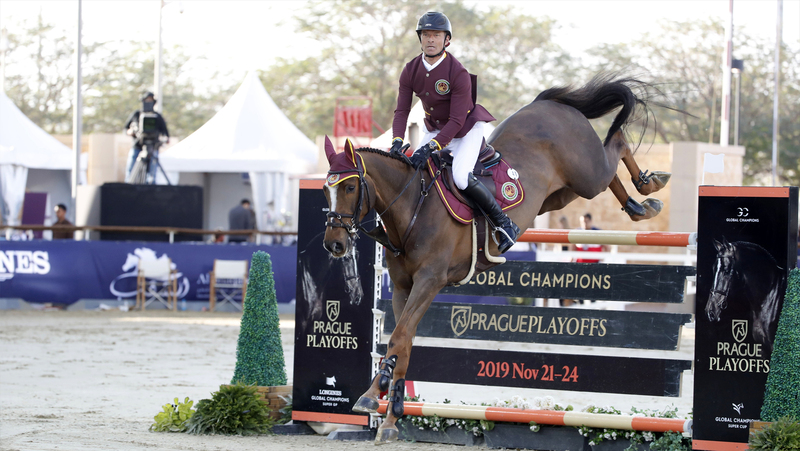 What did it mean to kick of the Championship season with a win in Doha with Daniel Deusser? Daniel is a friend. We are getting along very well. We have top horses. We felt together that we can do double clears and be successful, so it was very special to win there with him. 2. What sets you apart as a team from the other 15 in the Championship, why are the Swans Different? The Shanghai Swans are the best! It’s clear! 3. What are the team’s tactics looking ahead to Mexico City - who are you fielding and why? With Daniel [Deusser], Shane [Sweetnam] & Peder [Fredricson], we have three incredible riders in Mexico. The goal is to keep the leadership of the circuit. I’m sure they will do their best. 4. What kind of horse and rider do you need for Mexico City specifically, with its big grass arena? I think it’s important to have horses with experience in Mexico & riders who have already ridden at this championship level. It’s tough there with the best horses and riders in the world. 5. What are the realistic expectations for the team this season? Given our riders, we have all the cards in hand and hope to win the [GCL Super Cup] at the GC Playoffs in Prague. It’s a long way but that would be amazing!